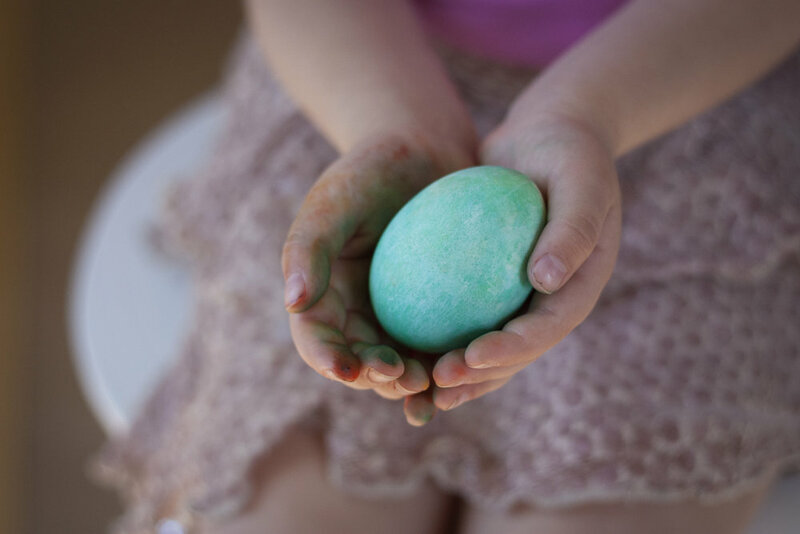 Easter is upon us, and while there are a million ways to dye an egg, this way takes the cake for those of us with tiny ones wanting in on the action. 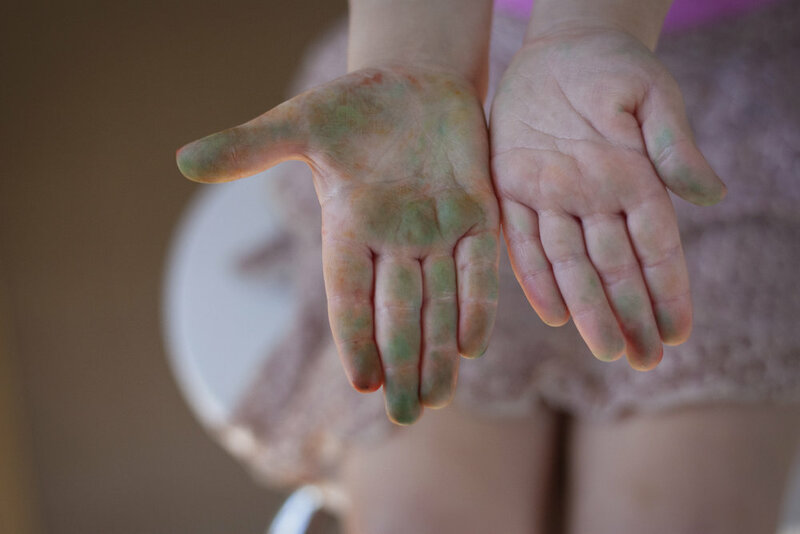 Dyeing eggs with toddlers is NOT fun. The cups full of colored mess waiting to stain anything it touches, the "GENTLE!!" reminders as they plop those eggs in, most likely to be cracked, and the fact that egg dyeing requires waiting for results all make for a less than fun experience for little ones. A few years back when I was young(er) in my motherhood a friend shared this on her blog and I've been doing it ever since. Her blog isn't around anymore and since a quick google search didn't yield any results for other tutorials I thought I'd share her genius with you all. 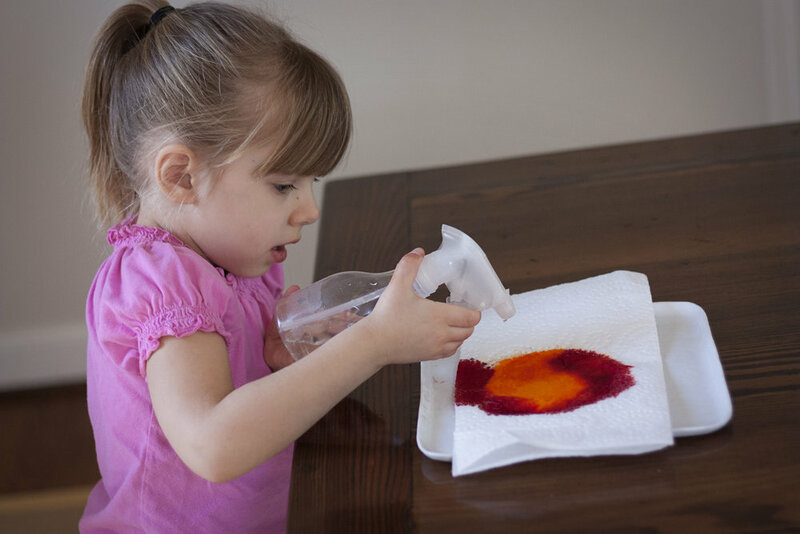 I shared pictures of Charly dyeing eggs with this method a few years ago (and how cute is that little Charly! ), but here's a few more pictures and a step by step to explain the process! The best part: You probably have everything you need at home already! 2. Choose a few colors of food coloring- 2-3 seem to work best, but you can go wild! 3. Put drops of food coloring onto the paper towel in a random pattern. Putting them closer together will create more overlap and mixing of colors. 5. After the first egg is done, you can spray water with a spray bottle and do one or two more eggs from the same paper towel. The added water will give the eggs more of a water color effect, while the first egg will have some of the texture from the paper towel. 6. 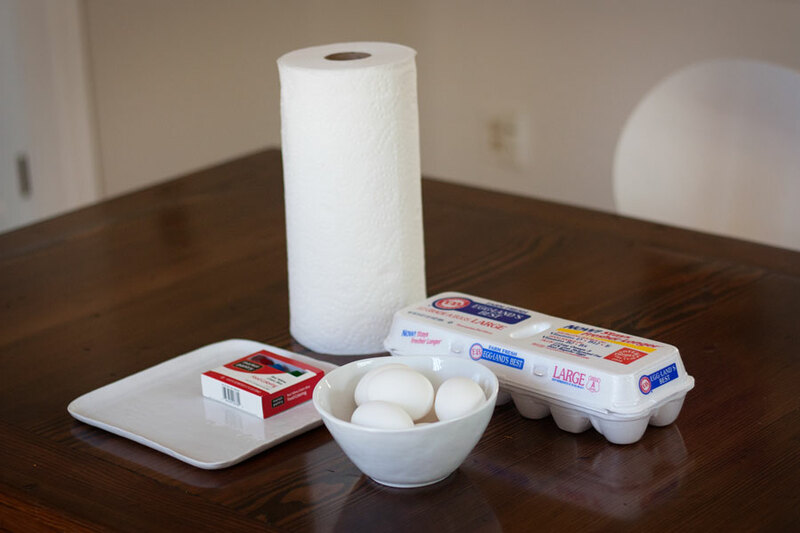 Set the finished egg in an egg carton to finish drying while you make more! 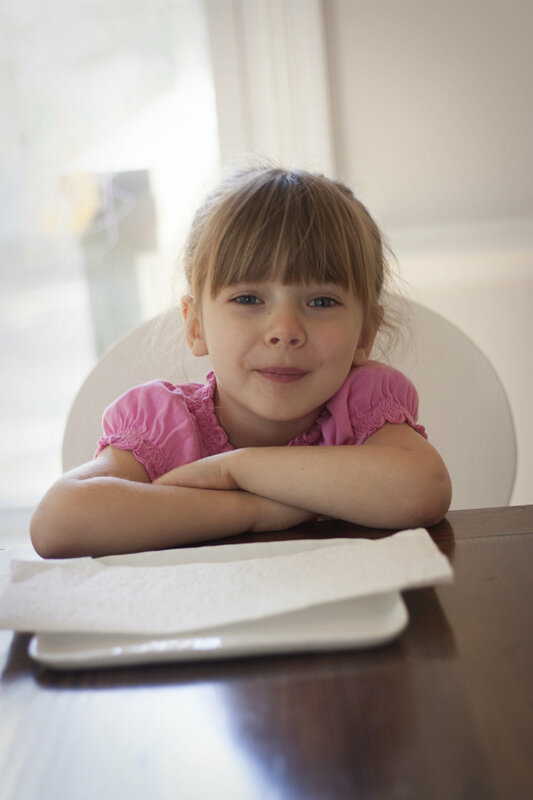 The clothes stayed clean, and the high chair wiped up with a spray of water and wipe of a paper towel- which were both already out!- ha! AND both kids were so proud of themselves for being able to do it mostly on their own! 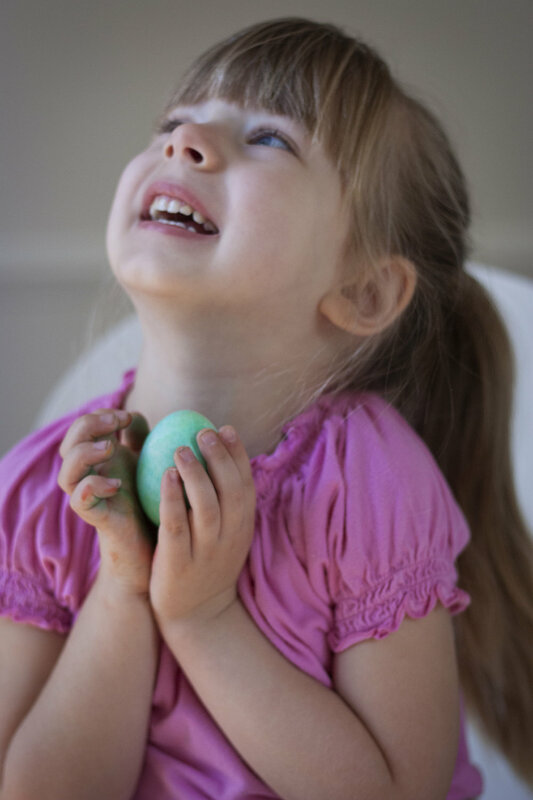 And hey, if you've got older kids wanting in on the action, you can adapt it by wrapping the paper towel around the egg and placing it in a plastic sandwich bag with a rubber band at the top to keep the bag tight against the paper towel wrapped egg. 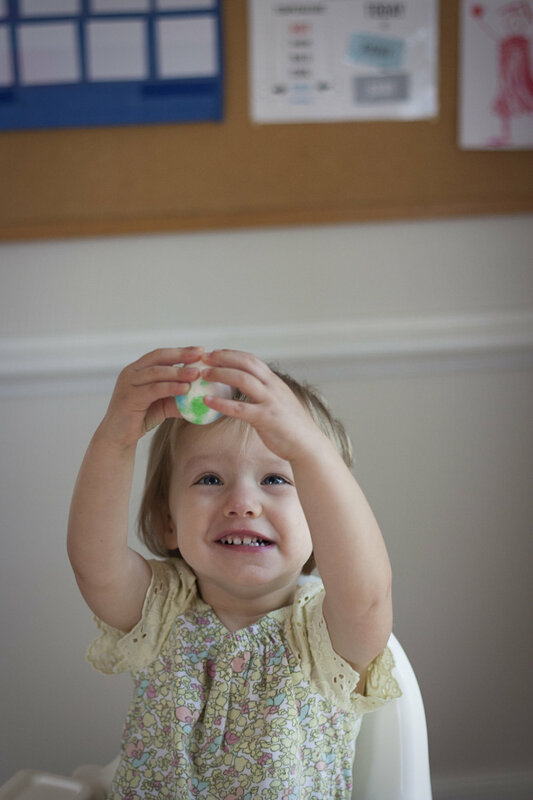 Wait a few minutes, and take the egg out to reveal even brighter colors and a fun pattern! So what do you think, would you give this method a try? Or do you have your own less-mess egg dyeing tips?